It’s been a while hasn’t it?! There’s been a lot going on, and settling into a new country comes with lots of adventures but also lots of challenges. The fabulous blogger at Yumsome! (have you read her blog yet? If not, you should!) has really put me to shame with her ability to keep the blogging and creativity up whilst relocating. My craft life has really suffered. But Christmas has thankfully changed all that. I’m still super short on time (I travel a fair bit with my new job) so I’ve started really looking out for those quicker, shorter projects that can be achieved in a few hours – I don’t know about you guys but I’m still crafting some gifts and probably will be into the evening of Christmas Eve! I have to admit that I found it quite difficult to find shorter projects I liked online, so I thought it would be helpful if I collected a few together from the blog for any of you in need of some last minute inspiration. They look really cute and they take about a hour to crochet four (if you’re used to crocheting). There’s a tutorial for the circle one here. The squares are just standard crochet squares. As long as you have something made from unvarnished wood, a pot of decopatch varnish (I always double check it’s safe for food untensils) and some washi tape you can pretty much washi anything (funny shapes permitting). I’ve even washi-ed chopsticks and wooden spoons. These can be purchased from pound shops, those kitchen shops that sell everything, and even supermarkets. You just need a few hours for the varnish to dry but you could easily do it Christmas Eve and wrap it Christmas morning. The tutorial for the egg cup is here. 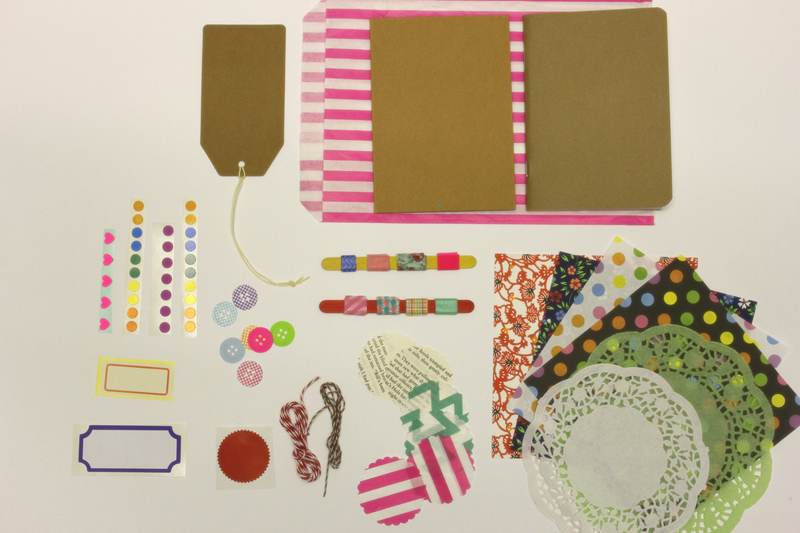 I love buying and gifting craft kits, but there’s not much out there for the paper crafter. So why not just put one together yourself? 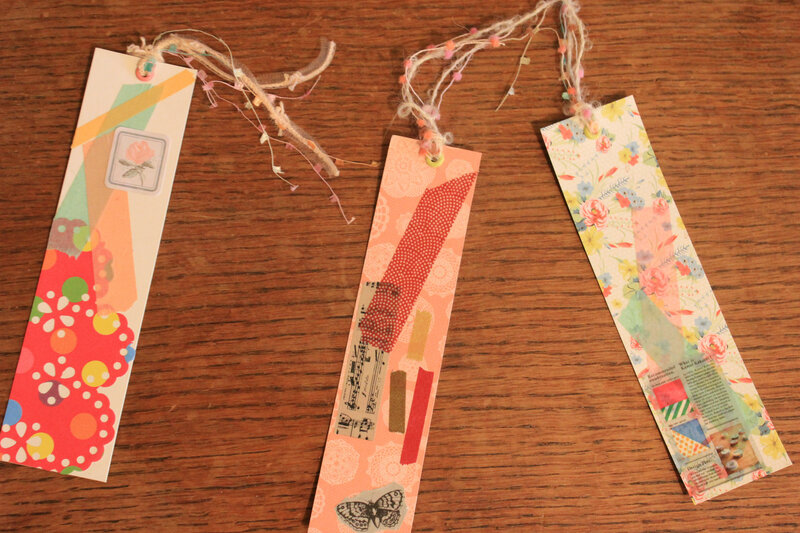 I wound washi tape onto lolly sticks so there was a little bit of variety (one of the joys of washi tape is it can be stuck and unstuck several times), cut some strips from my favourite sticker collections, used craft punches to cut out some fun shapes and added some origami paper and doilies. I included a gift tag, a plain card and envelope and a mini sketch book to get them started but really you can add anything that takes your fancy. I haven’t got my camera with me so I’m relying on my archives, but hopefully you get the idea! 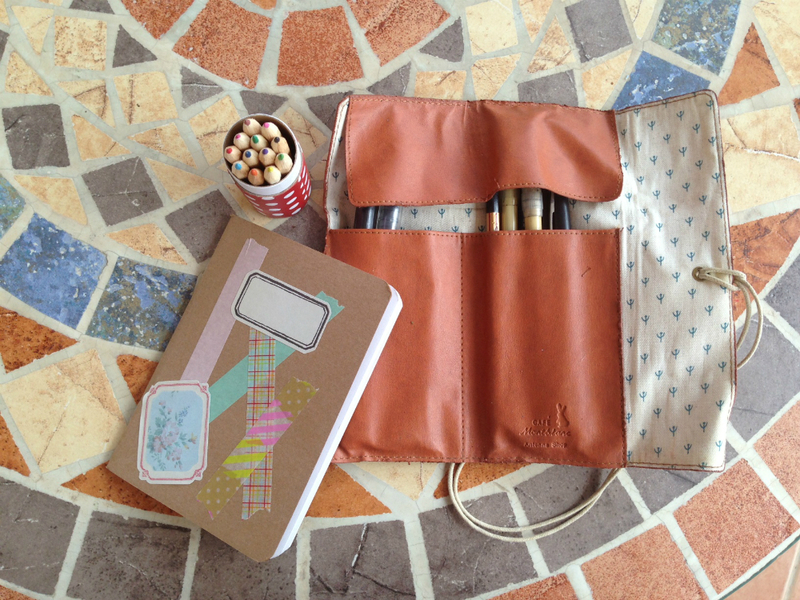 With some stickers, washi tape and doilies you can jazz up a plain kraft cover. A real quick and easy stocking filler – you just need some nice card, washi tape, doilies, fancy yarn and eyelet punch. OK admittedly that wasn’t as short a list as I thought but if you’re a big paper crafter you probably have that covered. Each bangle takes about 20 minutes and they’re a really fun stocking filler. You could also make a necklace out of three strands plaited together. I like to have lots of fun with colours! The blog post on the bangles is here. If you’re already a dab hand at knitting then these photos should hopefully be inspiration enough and if you’re not, then they wouldn’t be a wise choice for a last minute craft! I will put the patterns up in the new year but as time is of the essence, here is a simple knitted headband that I find can be knitted up in a hour (with 6mm needles and yarn) and some arm warmers (these are still in progress) that will probably take about 2 hours. 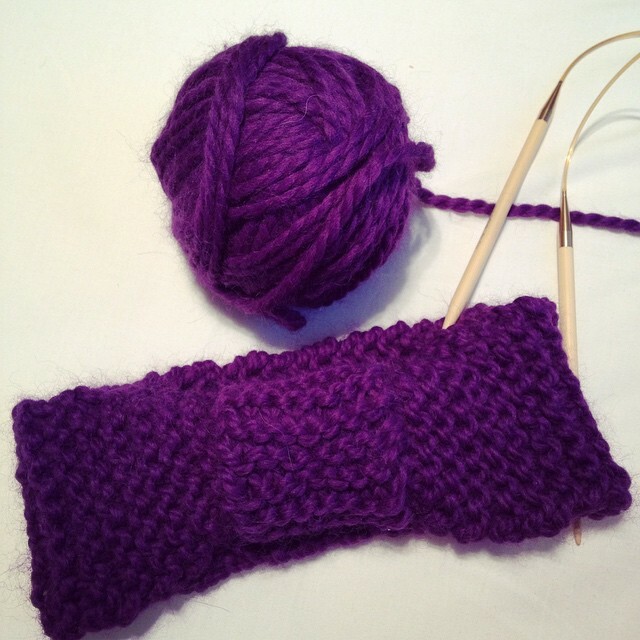 I’m just knitting them in garter stitch and making a hole for the thumb by casting off, finishing the row, knitting back to the hole and casting on the same amount of stitches. I’m then going to sew the sides together to make a tube as I’m much faster at knitting in a straight line than with double pointed needles. 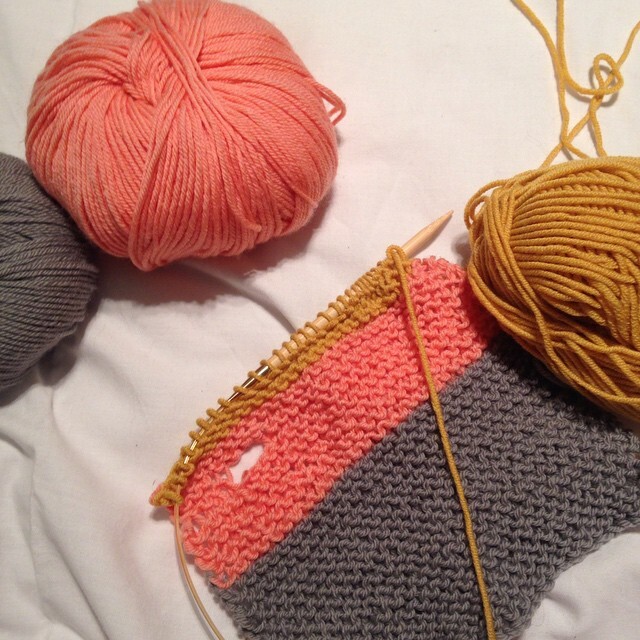 These are actually DK yarn on 6mm needles, but for arm warmers I like them to be slouchy. It’s up to you of course! I hope some of these ideas provided you with the right inspiration but please do share your last minute crafts in the comments below – it’s always helpful to have a list throughout the year for birthday gifts and sudden celebrations. Good luck last minute crafters and Happy Holidays! This entry was posted on 23/12/2014 by hedanni (Danni Haughan) in how to, Knitting and tagged Christmas, Christmas Gifts, Craft, Craft Blog, DIY, Gifts, Handmade, Last Minute, paper craft, Quick, Simple, Washi Tape, wool, Yarn.